Our April Mentor of the Month honor goes to Jennifer Stuber. Jennifer currently reads at St. Theresa Catholic School and has been reading with Everybody Wins! Iowa for eight years. Jennifer reads with Mary, a third grader, each week on Tuesdays. This school year was the start of their first year of reading together. 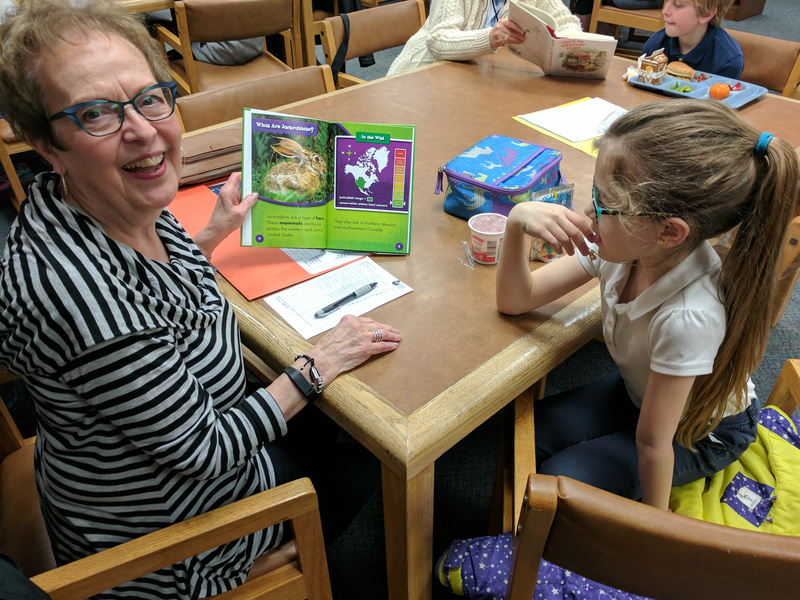 Mary and Jennifer enjoy reading a variety of books together, but Mary’s favorite kind of books to read are about animals. “I think (being a mentor) means to establish a rapport with a child and be able to communicate with them and have the one-on-one conversation, as well as read to them and find out what they’re interested in,” Jennifer said. Jennifer retired 3 years ago, but was involved with the program years before she retired. She previously read at Windsor Elementary before reading at St. Theresa Catholic. Amber Juffer, Site Coordinator for St. Theresa Catholic School, had nothing but praise for Jennifer as a mentor. Jennifer said that she became involved with Everybody Wins! Iowa through a friend who read with the program and told her about the positive impact it can have on a child’s life. Thank you for being a wonderful mentor, Jennifer!